Now with Klean Coat durable chip resistant powder coated finish and available in a range of new colours and designs for 2019. Reduce plastic use with Klean Kanteen, sippy bottles are suitable for 6+ months. 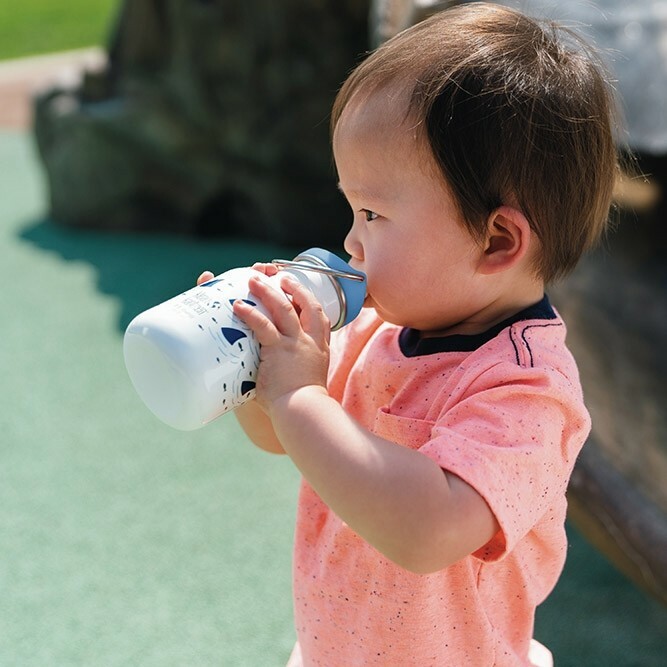 This children's sippy bottle is a healthy, eco-friendly bottle made with stainless steel and will keep your child hydrated all day long. 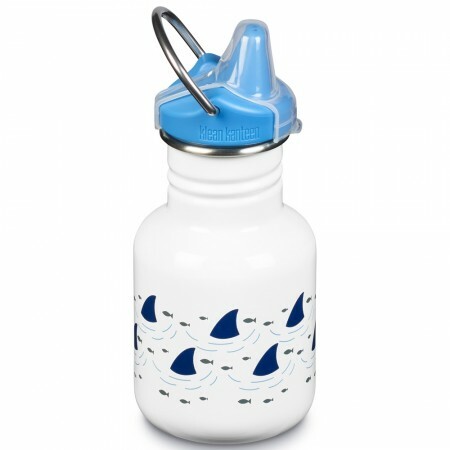 It features a sippy lid that is easy for babies and toddlers to use. 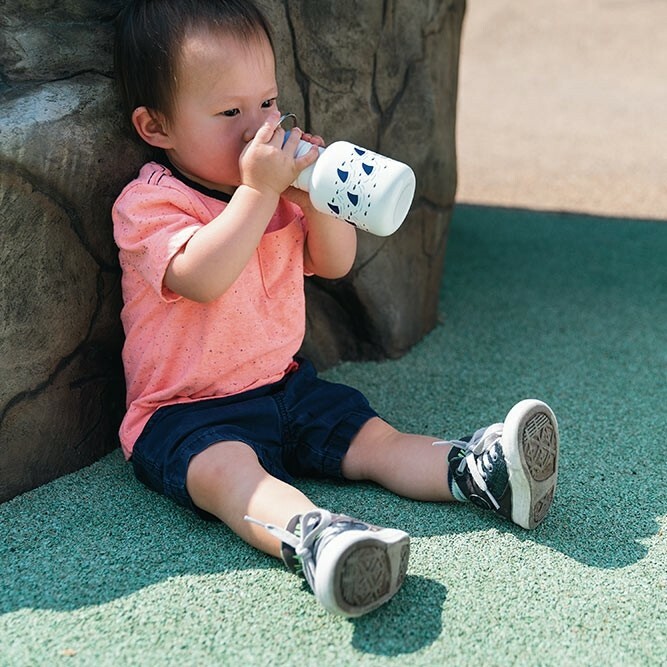 Once your child has outgrown the sippy cap, replace with a sport cap or loop cap for a bottle that they can take with them on the go without risk of spills. Choose from a range of gorgeous colours and optional lids for a bottle that will last your child for years. Made with safe, durable and eco materials, with no BPA, phtalates or lead. 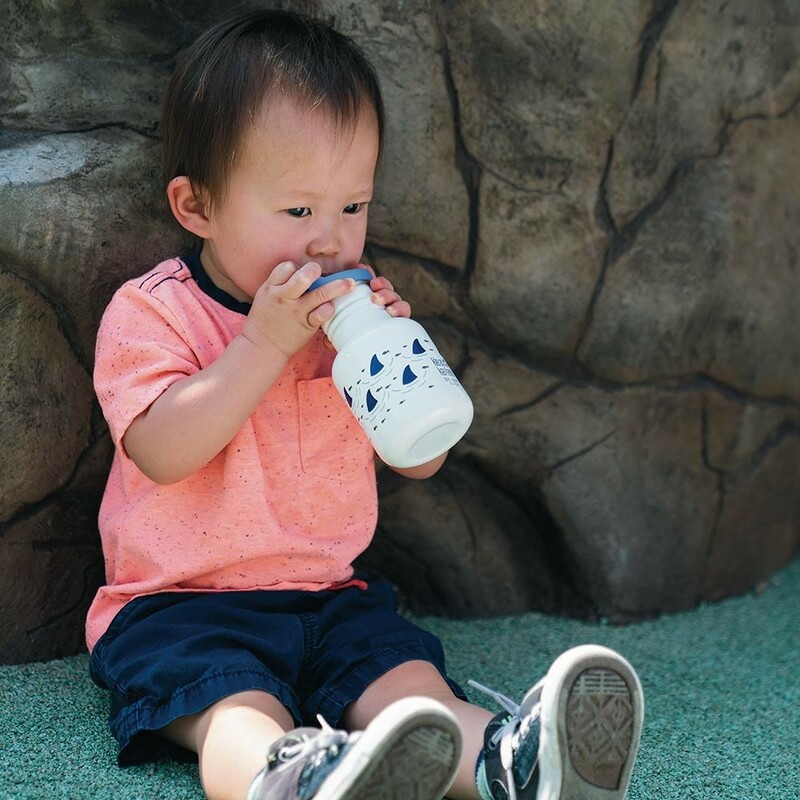 Sippy cap has a dust cap and removable valve for easy cleaning. Caps and brushed stainless bottles are dishwasher safe but the painted bottles must be washed by hand. It has a large 44ml opening for easy pouring and filling and is compatible with other 44ml caps. Whether used for milk, water or juice, no flavours are retained. Optional accessories include a cap with a handy attachment loop; a carabiner to hook your bottle onto a bag; and a lift up/push down sport lid for easy drinking on the go. Say goodbye to disposable bottles and hello to Klean Kanteen’s stainless steel drink bottles and food containers. Lightweight, reusable and BPA-free, Klean Kanteen’s products can be used every day in lunch boxes, for picnics, day trips and adventures outdoors by kids and adults alike and will last for years too. From babies’ bottles to sippy cups, sports bottles, insulated flasks for hot drinks, there’s something for all the family. Klean Kanteen toxin-free products are responsibly made in China using high quality, food-grade stainless steel and lids made from either stainless steel or BPA-free polypropylene. Unlike cheaper aluminium bottles, they won’t retain flavours from previous meals and drinks. 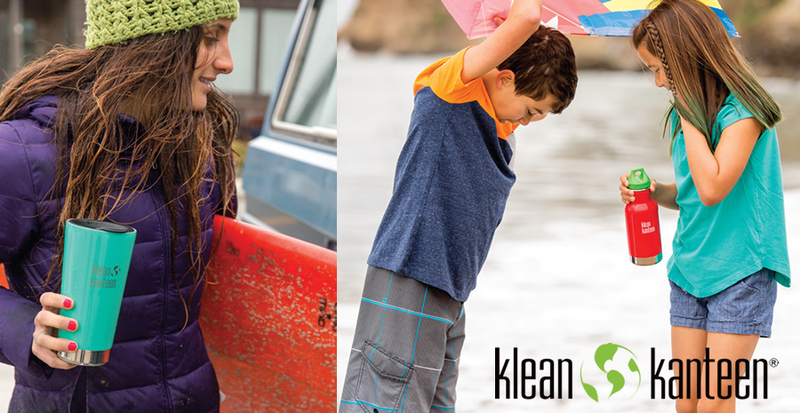 Klean Kanteen are signed up to 1% For The Planet, with 1% from every purchase going towards protecting forests, rivers and oceans, and supporting sustainable farming and green energy.